The Key Points of Tools Grinding – The Material of Tools - Purros Machinery Co.,Ltd. The common cutting tool materials used in tool grinding include: high speed steel, powder metallurgy high speed steel, hard alloy, PCD, CBN, metal ceramics and other super hard materials. The high – speed steel tools have the sharp, the toughness good merit. Carbide cutting tools have high hardness but poor toughness. The density of carbide tool is greater than that of high – speed steel tool. These two materials are the main materials of drill bit, reamer, milling cutter and tap. The properties of powder metallurgy high – speed steel lie between the above two materials, which are mainly used in making rough milling cutter and tap. The high – speed steel cutter is not very sensitive to collision because of its material toughness. But the hardness of the carbide tool is high and brittle, very sensitive to impact, and the blade jumps easily. Therefore, in the grinding process, the operation and placement of cemented carbide tools must be very careful, which can prevent the collision between the tools or tool drop. Many manufacturers use a common drill bit grinder because of its relatively low precision, low grinding requirements, and low price. However, carbide tools often need professional universal tool grinding machine for grinding. 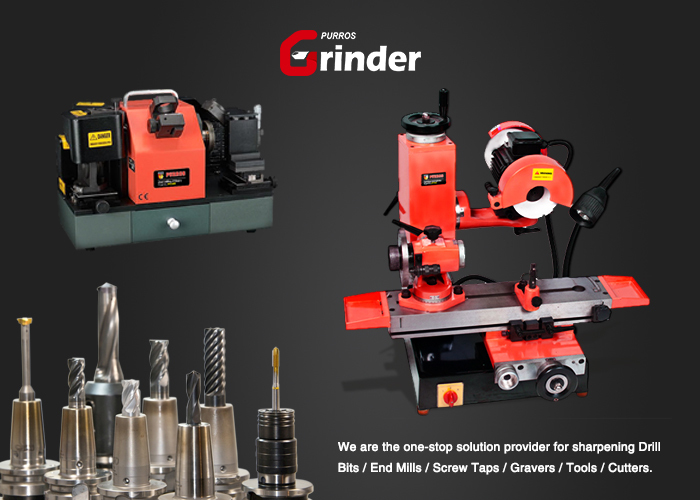 If you are looking for the right grinding machine to repair the tools, you can learn about our products.